Wanna put your short hair in an elegant updo? Here’s how to create a chignon for short hair. Much has been said about the beauty of chignon. This classic hairstyle spells elegance and poise. No wonder it is a staple in formal events like dinner parties and weddings. 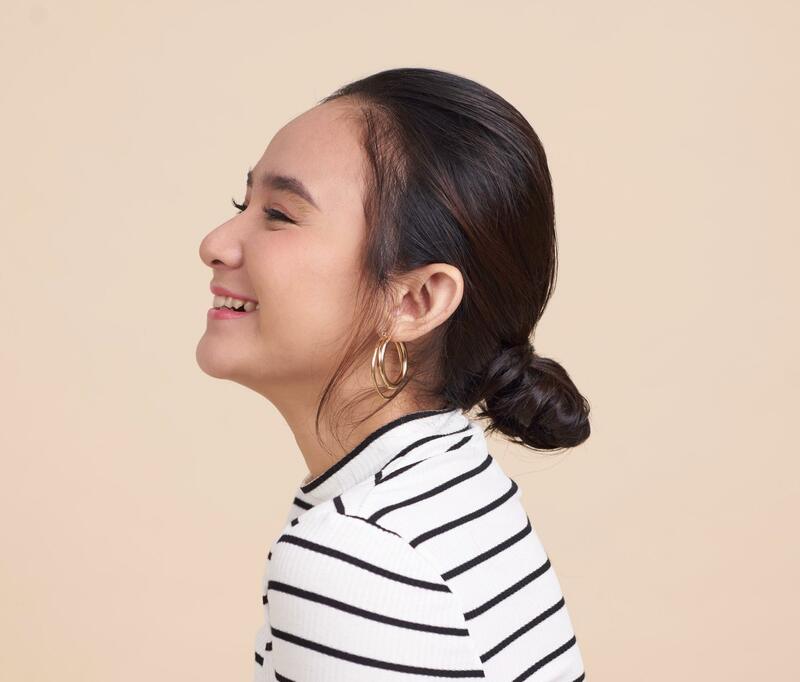 You can often see the chignon in long-haired women, but did you know that even if you have short or medium-length locks, you can still wear this ‘do? Read on to find out how to create chignon for short hair. Dealing with falling hair? Minimize it by using DOVE Hairfall Rescue Shampoo and DOVE Hairfall Rescue Conditioner. These products also help make your hair smooth and manageable so you can rock any hairstyle you love. Smooth out your hair and gather your strands on your nape. Create a low ponytail and secure it with an elastic. Create a gap just above your elastic. Then, tuck your low ponytail into this gap. 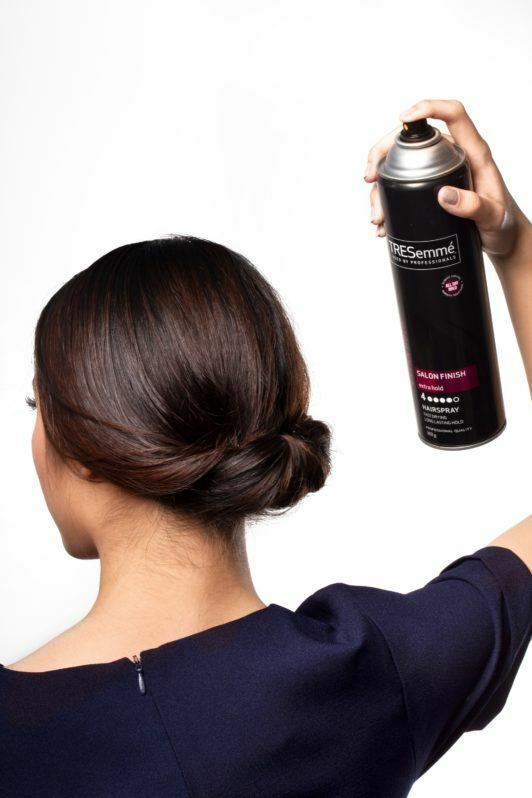 Spritz TRESemmé Salon Finish Extra Hold Hairspray on your bobby pin before putting it on your hair. This hair hack will make your pin hold you chignon better. After you secure your chignon with a bobby pin, spritz TRESemmé Salon Finish Extra Hold Hairspray all over your hair to get rid of frizz and keep your chignon in place. Take a few strands of hair near your hairline and let them frame your face to make your hairstyle look more relaxed. Now, you’re all set! Easy, right? The chignon for short hair can be a day-to-night look. Pair it with your suit and pants to make your corporate look polished and feminine. Then, at night, complement it with dark eye makeup and a pair of simple but eye-catching earrings for an elegant evening look. Ready to put your short hair up? Here are other updos to try. Put your short hair up high with the help of a hair donut. Achieve this look with the help of a hair donut to create a perfect bun shape. The hair donut will also help keep your bun in place. Wear this ‘do to look extra chic even on a casual day. It’s also a great hairstyle to try when you want to showcase statement earrings. Put your short hair in a low bun to look chic on a casual day. Going out on a date? 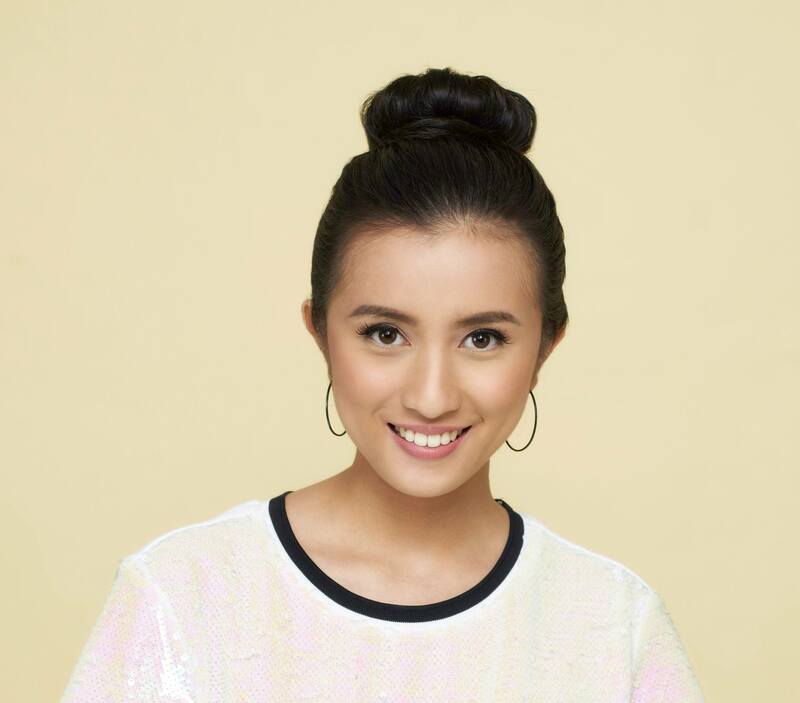 Try this low bun for a simple but romantic hairstyle. It’s a versatile look that can suit any kind of activity. You can wear a baby bun whether you and your date are shooting arrows in an archery range or going the fancy route at your favorite restaurant. 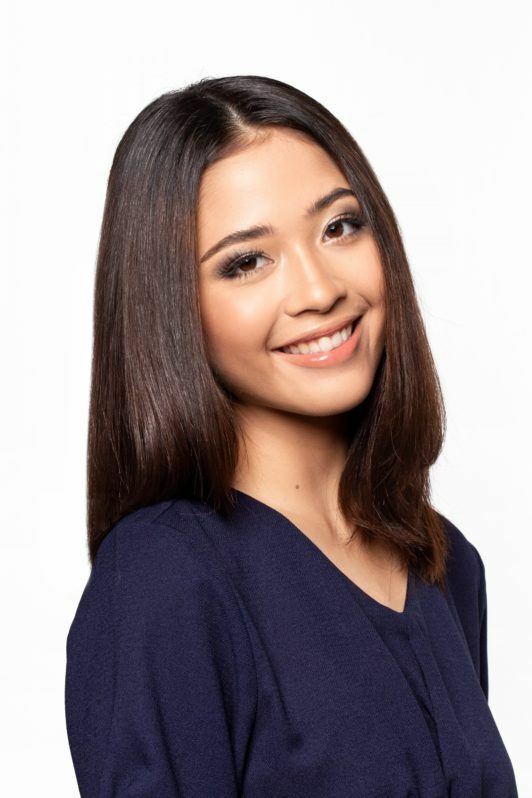 This is another timeless ‘do that you can try if you have short or medium-length hair. Style your hair this way when you’re attending a friend’s wedding. Whether you’re wearing a simple lace dress or a long gown, the French twist can give your look the right amount of glam. Ready to put your short hair up? Try chignon for short hair, as well as other updos, and impress your friends, your colleagues, and most importantly, yourself. Have fun! Next read: Want to relive the trendy hairstyles of past decades? Try the flipped-out short bob and show off a beautiful #throwback hairstyle.